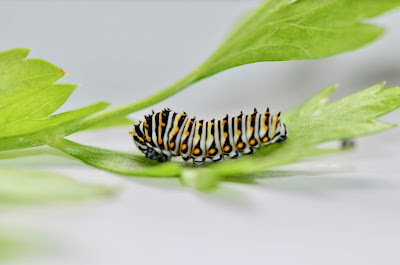 Last week I wrote about the caterpillars I found on my outdoor parsley plant. Click here to go to that blog. 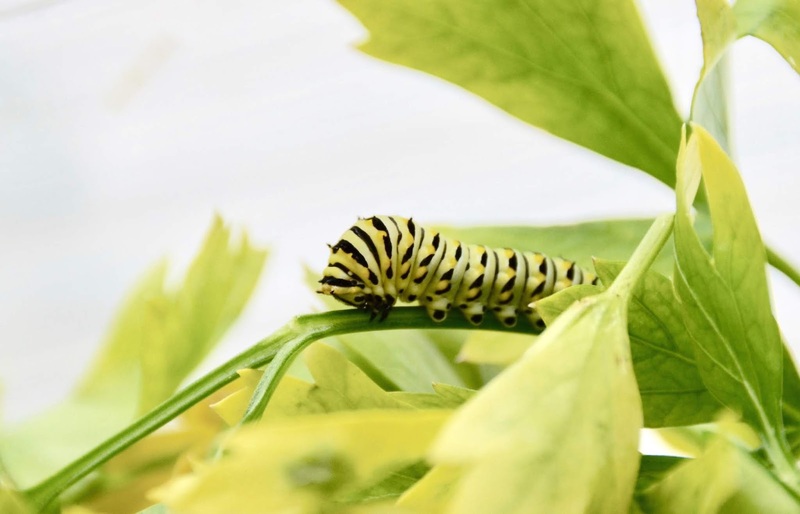 Since then, the caterpillars went through a stage that looked essentially like the one above from last week, only bigger. Then this stage. Pretty, right? Click to enlarge. But there's another problem. 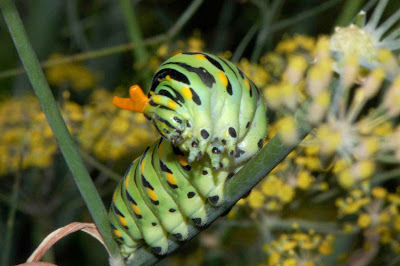 I've been reading about the black swallowtail life cycle. After spending three or four week in their caterpillar stages they spin a chrysalis and emerge as adults after 10 to 20 days. That is, unless it is the end of the butterfly season, in which case they stay in the chrysalis for the entire winter. I don't know how to decide if this generation has enough time to emerge and lay eggs that can make it to the chrysalis stage, or if these are the last of the year. I'm not even sure how to decide. So I'm letting them decide. 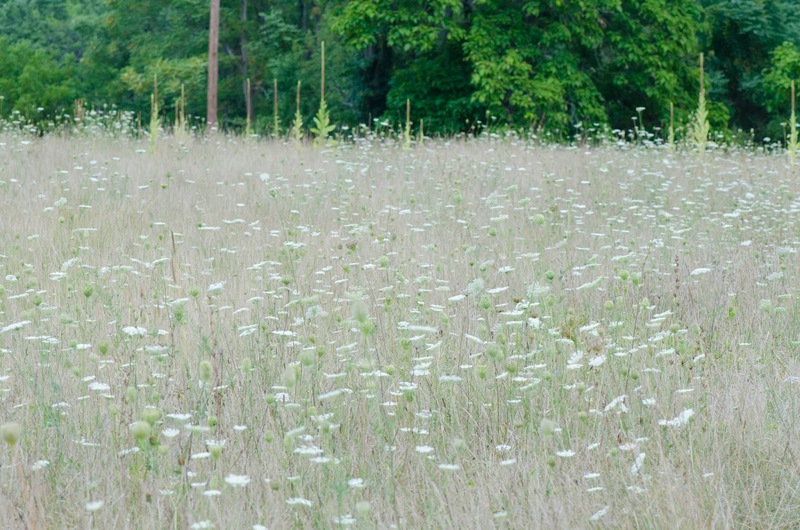 They've been liberated in this lovely field of queen Anne's lace; it's one of their favorite foods. There's enough here for many future generations. Here's how the grown caterpillars would have looked. This is an adult from another year. It was laying an egg as I snapped the photo. 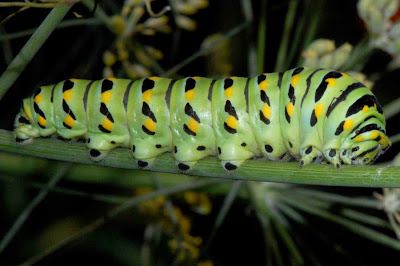 One of the coolest things about swallowtail cats is that they defend themselves. See the yellow thing like a snake's tongue sticking out of this caterpillar's head? It's called a stink horn or osmeterium. Its appearance is startling, and if that's not enough, It flicks a bad smell around. Pretty cool, caterpillar. Very interesting, thank you. I live in an arid climate east of the Cascade mountains. We had 4" rain this year (not including a bit of snow). We have no annual plants past mid summer and only a few broadleaf shrubs survive. 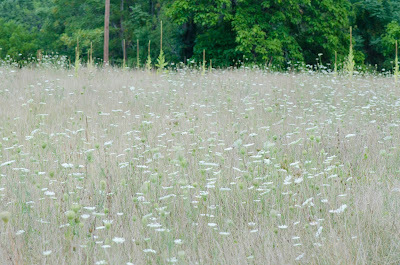 As you can imagine, we don't get many butterflies. 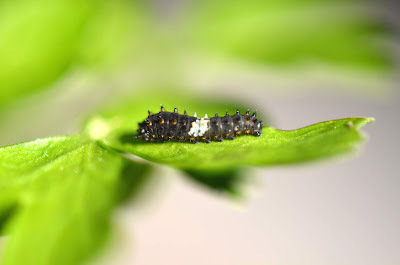 But I'm growing a lovage plant in a pot that is hosting these caterpillars. I normally wouldn't allow a pest to reside on my herbs but these guys intrigued me, and more so as they matured and poked their stinkhorns at me! And they do stink. I have never seen a swallowtail butterfly so I feel my plant was graced with a rare event. Will they survive? Who knows but they are leaving the plant now, presumably looking for a place to ride out the winter. We have had several nights lately with lows in the teens. The caterpillars are fully exposed and don't seem to mind these temps. So yeah, I too am rather impressed with this creature. Thanks for helping me identify. -Nathan in Oregon.